The deep brain stimulation (DBS) is a modern technique for treatment of late-stage movement disorders, consisting of permanent electrical stimulation of deep brain structures. In order to achieve good clinical outcome with low side effects, accurate positioning of the stimulating contacts in the target structure (e.g. subthalamic nucleus in Parkinson's disease) is necessary. The most commonly used method of accurate electrode placement consists of 1) preoperative MRI and CT imaging, 2) intra-operative micro-EEG recording around the presumed target position using a set of micro-electrodes 3) post-operative verification of electrode position using MRI and/or CT. 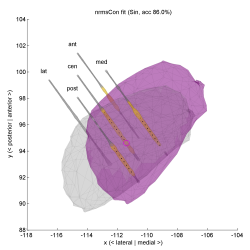 Analysis and modelling of micro-EEG signals from areas around the STN nucleus - which is the core part of this project - may help in accurate electrode positioning, as well as understanding of correspondences between recorded microEEG and pre/post operative MRI. Micro-EEG recordings are very susceptible to motion-induced and other types of technical artifacts. 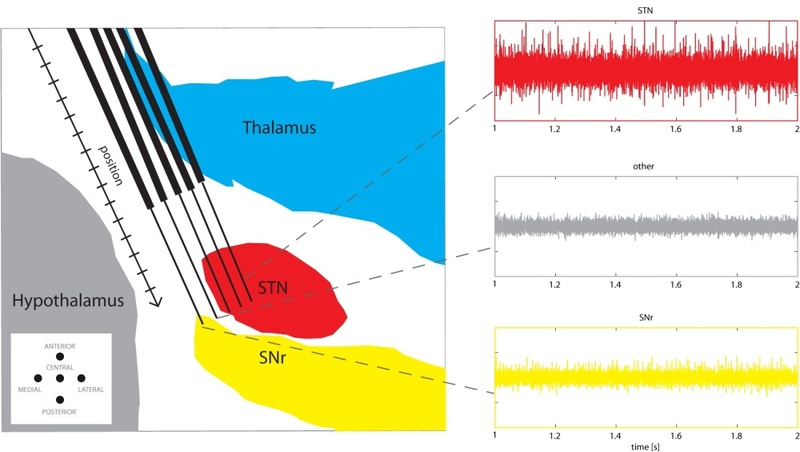 As the mEEG signals are often used not only in DBS targetting and nuclei identification process but also in all sorts of neuroscience experiments and unit activity evaluation, it is crucial to identify artifact-free segments. 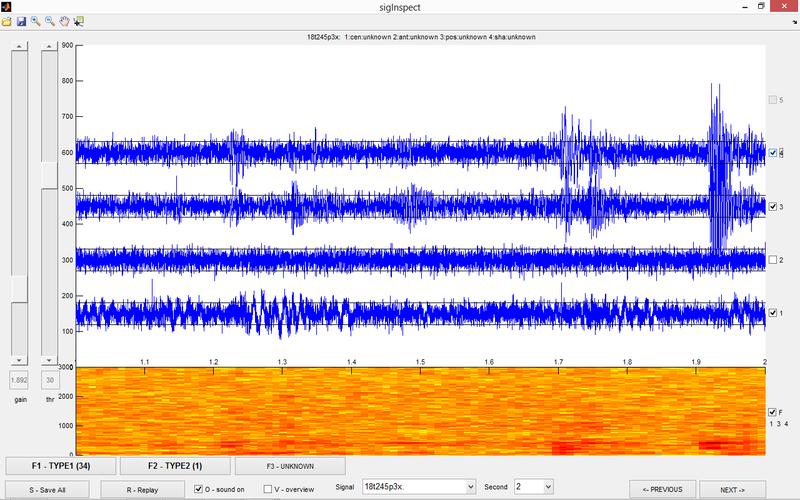 This is why we developed the sigInspect: a graphical user interface (GUI) application for Matlab, developed for inspection and annotation of extracellular microelectrode recordings (MER), which allows also automatic artifact detection, using the algorighms presented below. In diagnoses such as schizophrenia or bipolar disorder (BD), the treatment objective is to keep patients in "remission" - a safe state with low presence of disease symptoms. Our goal is to develop a n automatic e-health system for automatic relapse prediction in schizophrenia and BD, based o remote monitoring using behavioral data (wrist-worn actigraphy) and self-reports (mobile app questionnaires).